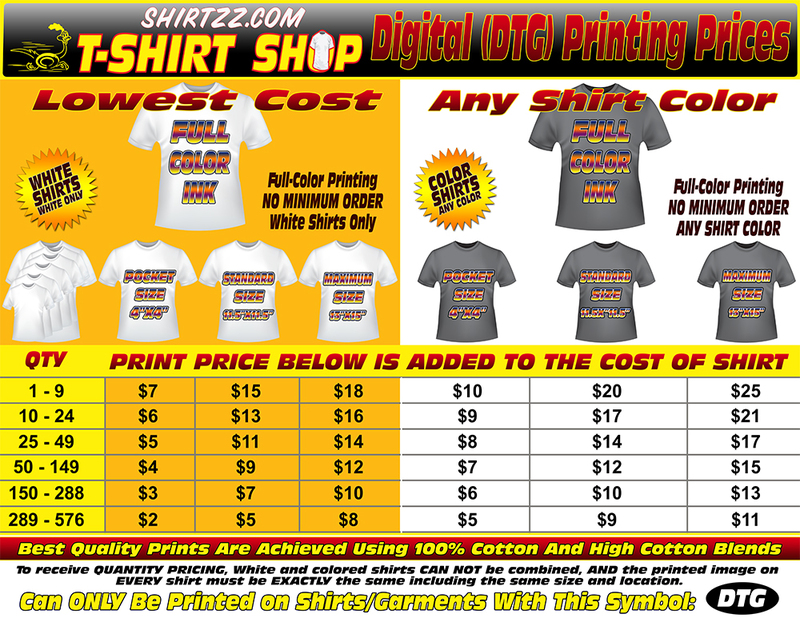 One price shown is for printing on WHITE shirts and the other price shown is for printing on ANY OTHER COLOR shirt. Prices shown below are for the PRINT COST ONLY. The BLANK SHIRT COST will be added to the PRINT COST.